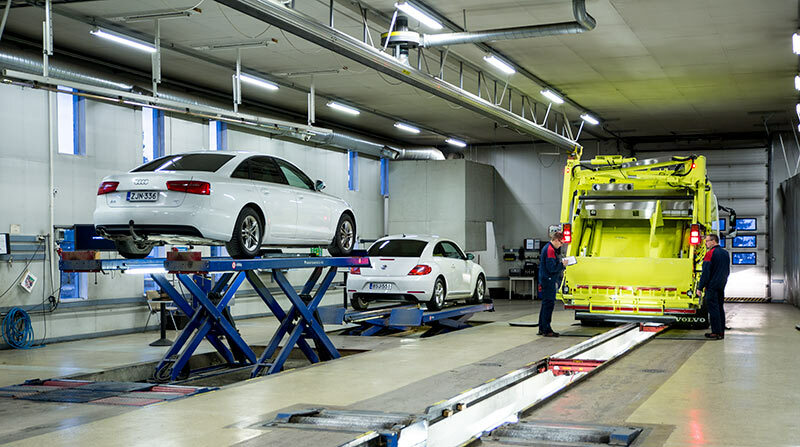 A periodic inspection is an inspection to be carried out for a vehicle at regular time intervals, where the vehicle's condition and data recorded in the register is checked. In addition to checking the condition, during the periodic inspection it is also checked if the vehicle is roadworthy and that the vehicle does not cause excessive environmental damage. Additionally it is also checked that the vehicle taxes have been paid. Repair prompts given during the inspection are stored in the vehicle information system and printed on the certificate. Repair summons are removed from the certificate at the next periodic inspection if these errors have been repaired. (Text from Trafi.fi) Learn more about the periodic inspection at Trafi website.